Funny photo of lawyers, bankruptcy and bills. 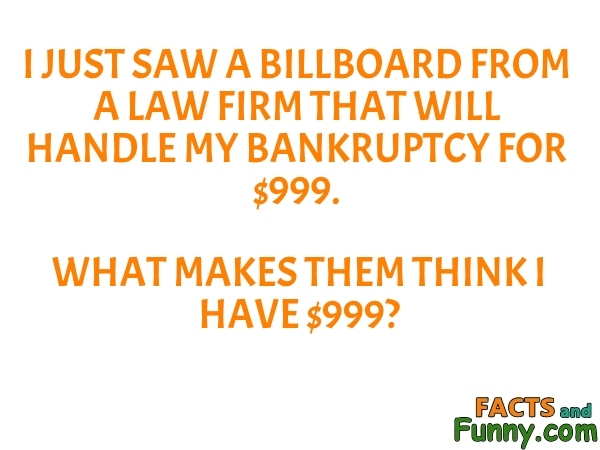 Funny photo about lawyers, bankruptcy & bills. I just saw a billboard from a law firm that will handle my bankruptcy for $999. What makes them think I have $999? This content was created in February 2019.